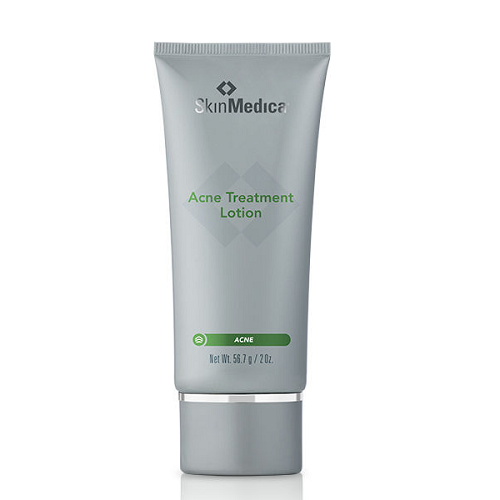 Formulated with the advanced microparticle delivery system, this benzoyl peroxide-based therapeutic acne treatment lotion has the ability to reduce P. acnes bacteria as well as absorb sebum from the surface of the skin for serious skin care. Cover the entire affected area with a thin layer one to three times daily. Because excessive drying of the skin may occur, start with one application daily, then gradually increase to two or three times daily if needed or as directed by a doctor. If bothersome dryness or peeling occurs, reduce application to once a day or every other day. If going outside, use a sunscreen. Allow Acne Treatment Lotion to dry, then follow directions in the sunscreen labeling. If irritation or sensitivity develops, discontinue use of both products and consult a doctor. When using this product, avoid unnecessary sun exposure and use sunscreen. For external use only. Ask a doctor or pharmacist before use if you are using other topical acne medications at the same time or immediately following use of this product. This may increase dryness or irritation of the skin. If this occurs, only one medication should be used unless directed by a doctor. Keep out of reach of children. If swallowed, get medical help or contact a Poison Control Center right away.